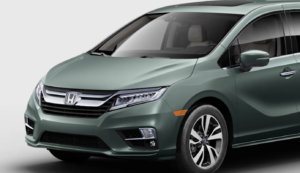 The Honda Odyssey is the perfect minivan for any family adventure, completely redesigned with available 19-inch Alloy Wheels and dynamic new styling cues. All the power to start your engine is at your fingertips with Push Button Start. Get a better view and some fresh air with the One-Touch Power Moonroof.